Inspection I and Inspection II are mandatory service inspections specified by BMW and it is very important to service according to the factory recommended intervals to keep the E46 M3 free of any problems or premature wear. As my car is getting older with more miles being put on daily, I decided to do an Inspection I a little earlier. 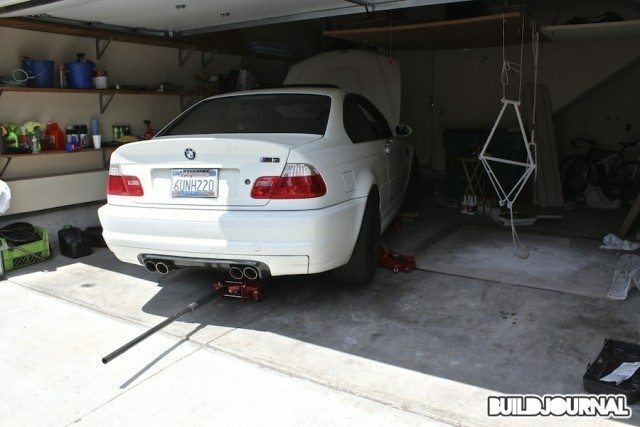 Here is my E46 M3 Inspection I DIY guide. Inspection I and II should alternate every 15,000 miles. For example, say your car has 0 miles on the odometer, Inspection I is due at 15,000 miles then Inspection II at 30,000 miles. What is actually involved in these Inspections? Take a look below. Step 1. 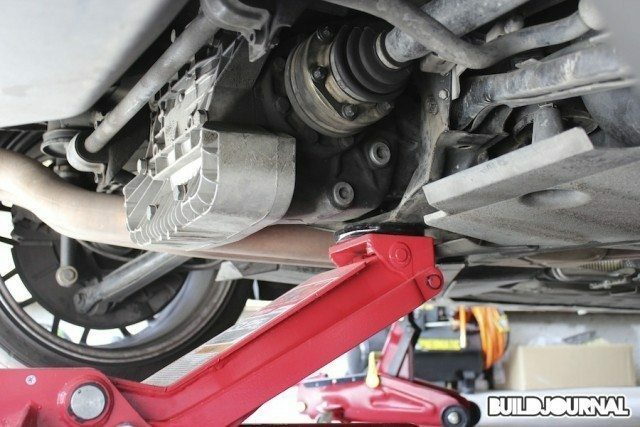 Get your car up on jack stands on all 4 corners. Step 2. Remove the two chassis panels located underneath the car on the drivers side. There are a total of 9 screws to remove by using an 8mm socket. Step 3. After you remove the covers, you should have access to the transmission. 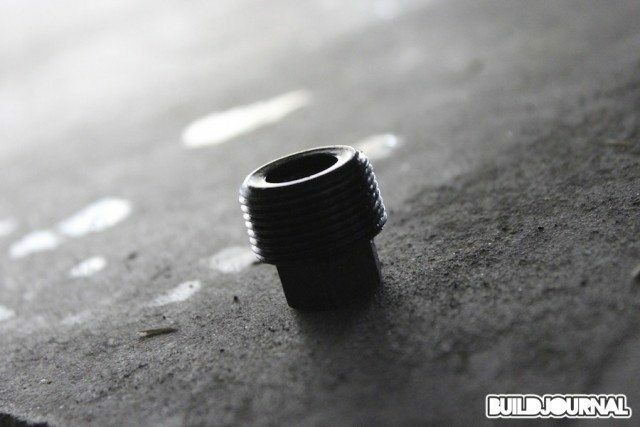 There are two 17mm bolts; upper is the fill plug and bottom is the drain. Drain pictured above. Before you drain the fluid, make sure you try taking off the upper fill plug to make sure you can get that off. You don’t want to be stuck with a drained transmission case and a frozen fill plug. Step 4. Once the fluid is drained, torque the drain plug to 37 ft lb. Step 5. 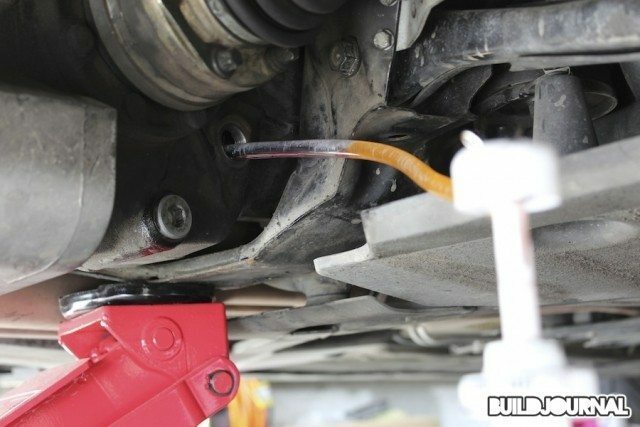 Fill the transmission with fluid using a pump. 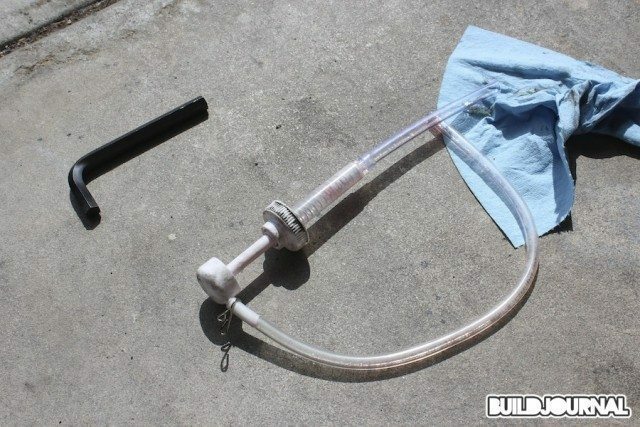 I bought a hand pump at Auto Zone for $10 and it worked really well. You should be able to pump 1.8-2 quarts of fluid until the fluid starts overflowing. Cap off fill plug to 37 ft lb. Step 6. Install chassis covers back on. 12mm hex key. Some newer models have a 14mm hex key. 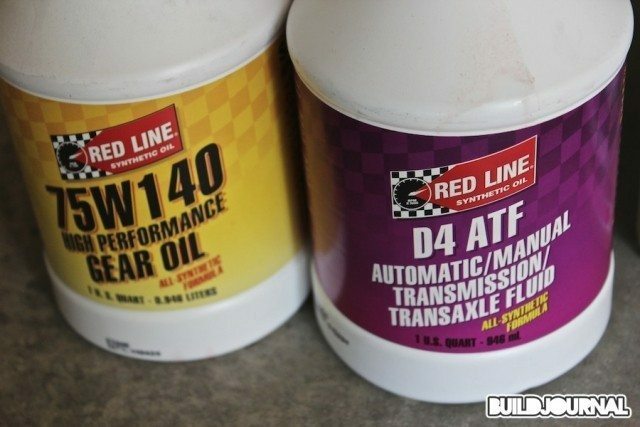 Make sure you find out which one you need before you go and buy one. I was able to find a 12mm at Sears. 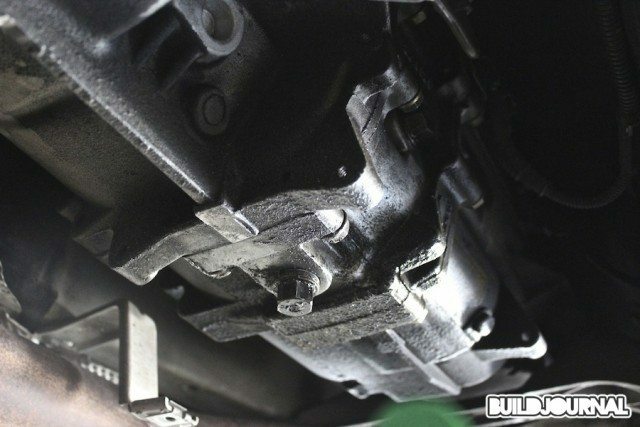 The rear differential is exposed so you don’t have to take off any covers to access the bolts. The diff has the same fill/drain plug setup like the transmission, but using a 12mm/14mm hex key instead. Step 1. Check to unlock the top fill plug, then remove the bottom plug to drain the fluid. 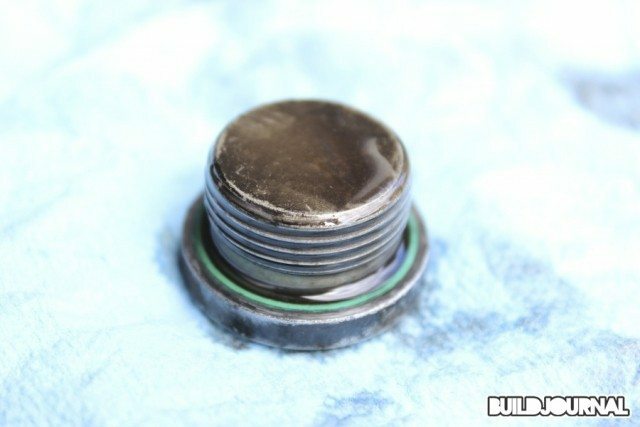 Check your drain plug to spot any metal shreds or any visible particles. Visible shards of metal may indicate premature gear wear. Step 2. 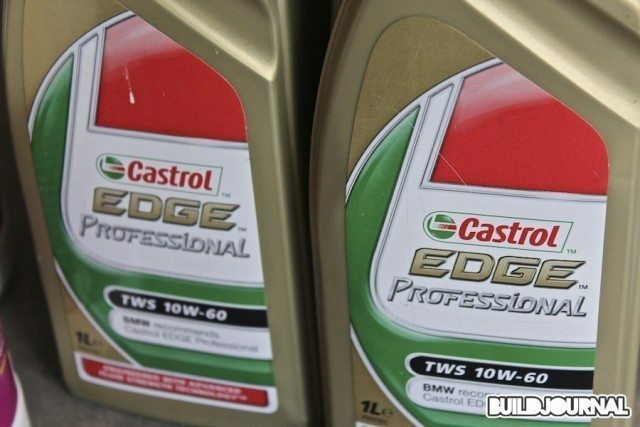 Once fully drained, tighten the drain plug and being to fill with oil. I filled up 1.2 quarts before it started overflowing. Step 3. Cap up the fill plug. Tighten bolts to 44 ft lbs of torque for o-ring; 48 ft lbs for washer. Step 4. Test drive! 10-15 minutes of driving should warm up the fluid to operating temperature. If you previously had grinding in the rear differential when doing u-turns, you should be free of any grinding now! WARNING. 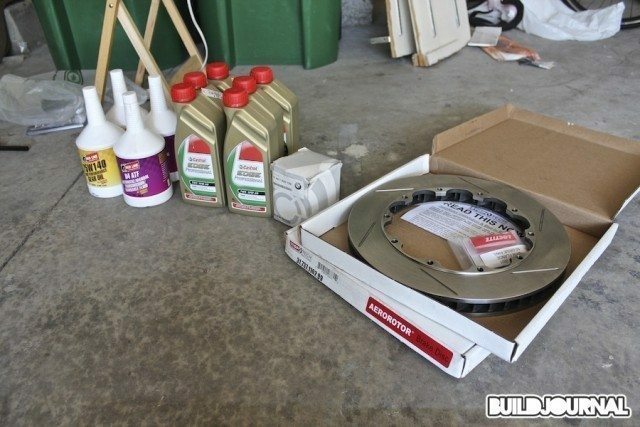 Always use the proper equipment and follow safe-installation practices when jacking up your car. The DIY instructions in this and any other write-ups are for reference only. BuildJournal is not responsible for any damages to property or people.